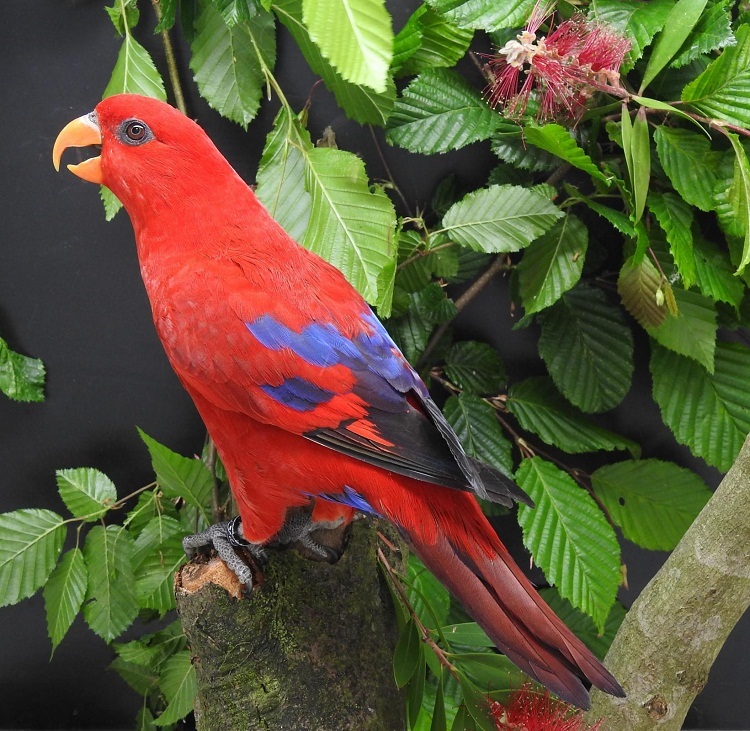 Red lory, scientifically known as Eos bornea, is a small-sized parrot with a cheerful personality. 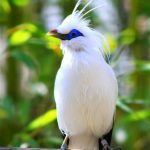 Its entertaining nature and fancy look are two of the main reasons why bird enthusiasts commonly choose this bird as their pet. 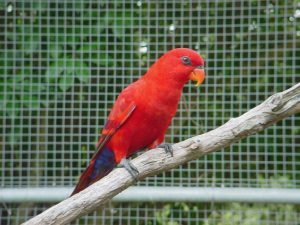 The bird might be small in size but its agile nature calls for a spacious cage sizing 36″x 48″x 24″. 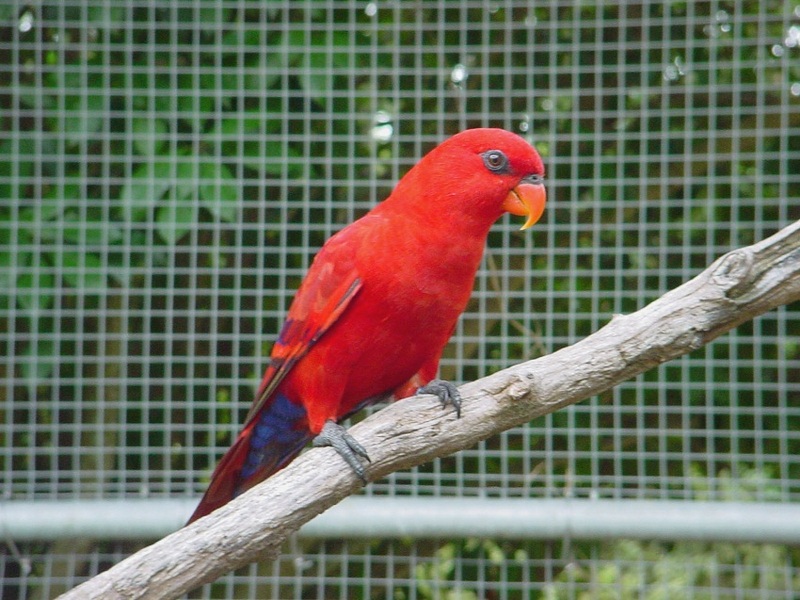 With lots of toys inside and some perches, the cage should have some free space left for the movement of the bird. For your lory, the room temperature should be within 70-80°F. 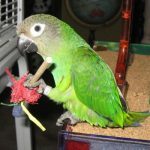 The bird can go on playing the whole day with toys although it gets bored easily playing with the same toys for an extended period. 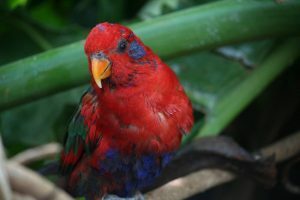 Usually, the chatty bird can pick up any word quickly to repeat afterward. 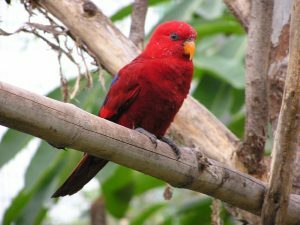 It emits high pitched whistles during sunrise and sunset. A red lory often hangs upside down from its cage. Nectar and fruit-based diet are good for your lory, with some mealworms as occasional treats. 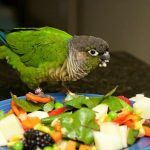 Since the bird makes a mess out of its food, make sure to change its water and food after a while. Attention is the biggest care factor that you can ensure as without your supervision the naughty bird can do anything. 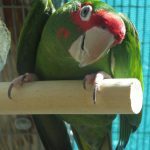 Your association and interaction are important for the mood of the bird. 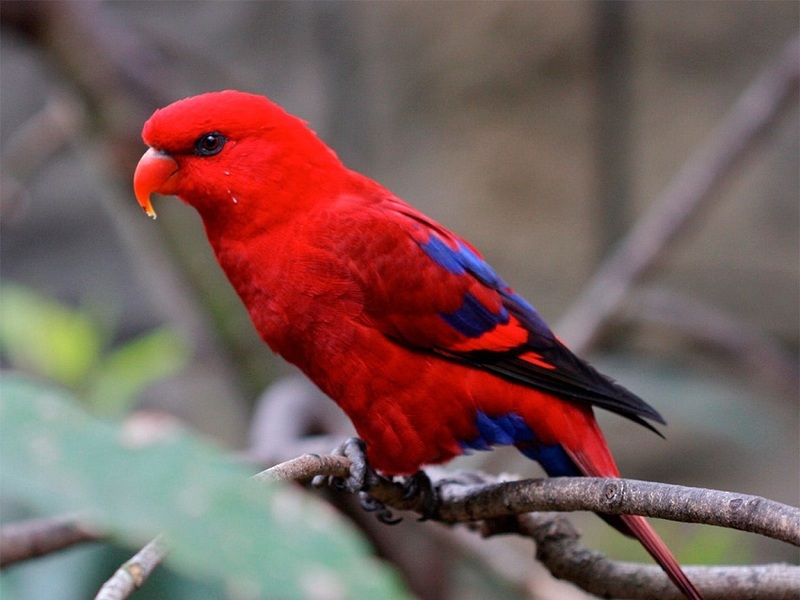 The active bird doesn’t need separate time for exercising as it is always on the move. 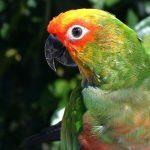 Hemochromatosis is the main illness that can plague a lory, besides other parrot diseases. 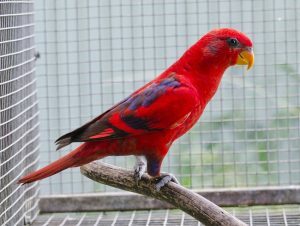 The range is usually $250-$300 for a single red lory. 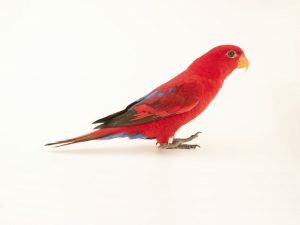 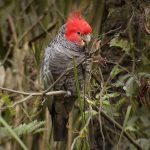 This is the second popular bird after rainbow lorikeet in regards to being the popular pet birds.